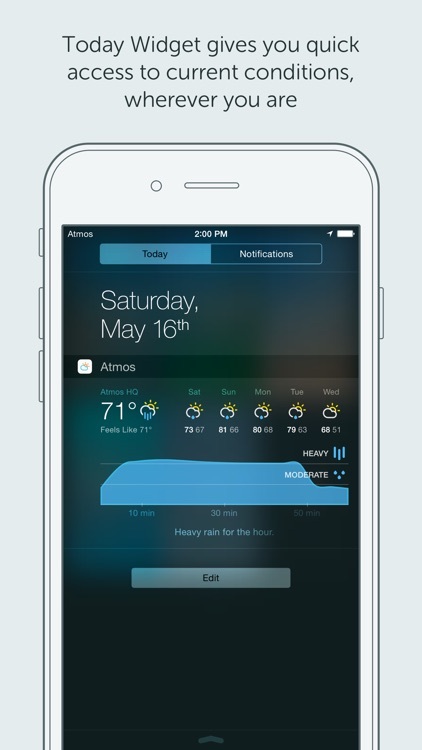 Weather apps can be overwhelming with tons of menus and details. 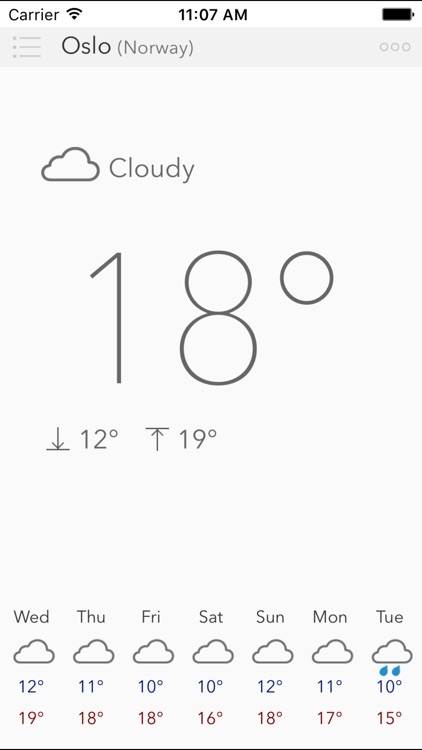 Sometimes, you can just want a clean interface for a quick glance at the weather. 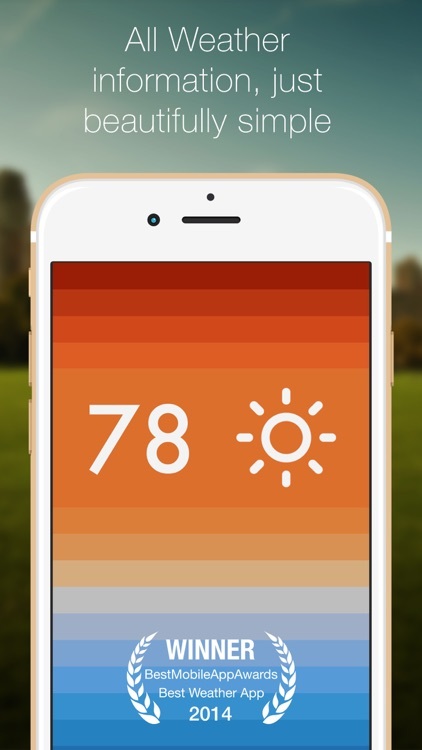 These apps are designed to let you lunch the app, take a quick look, and exit the app with the full knowledge of the weather. 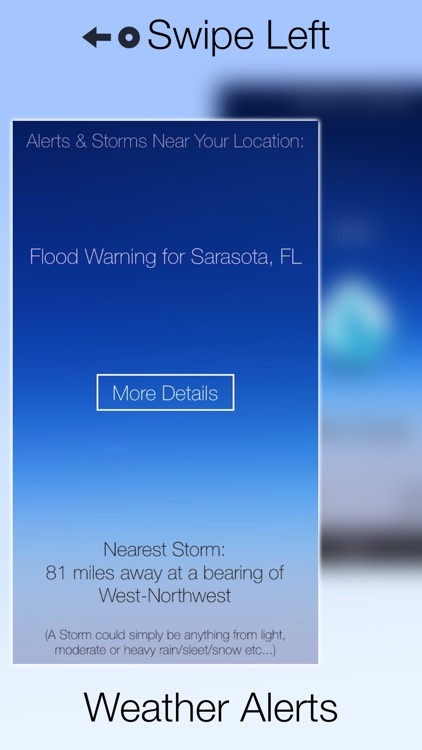 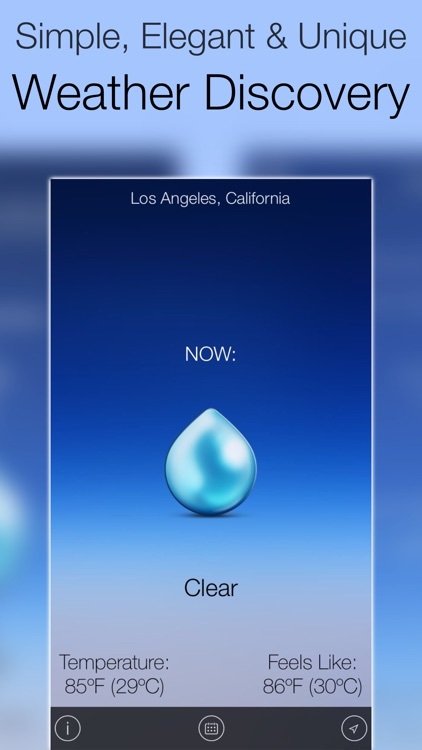 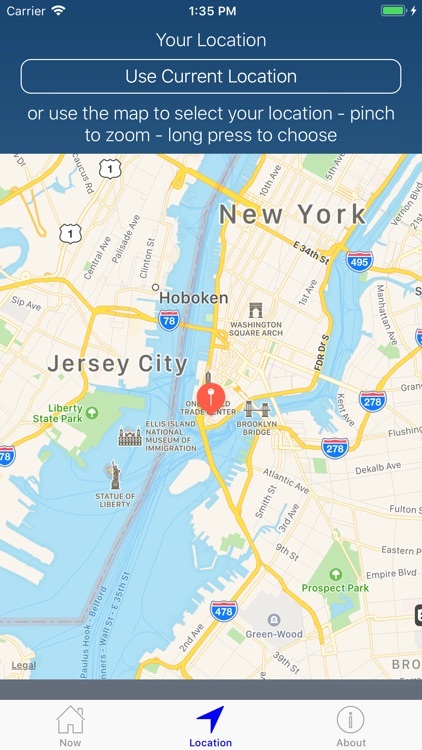 With neat descriptions and handy rain alerts, this new app gives you a fresh way to see the weather. 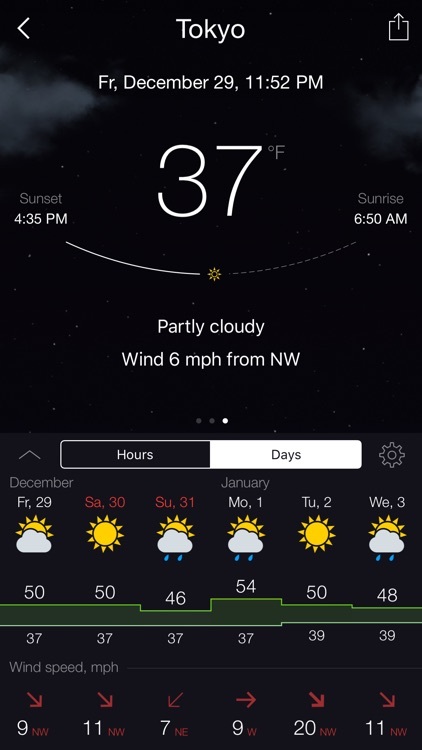 Aerium provides you a clear view of the current temperature along with a short description. 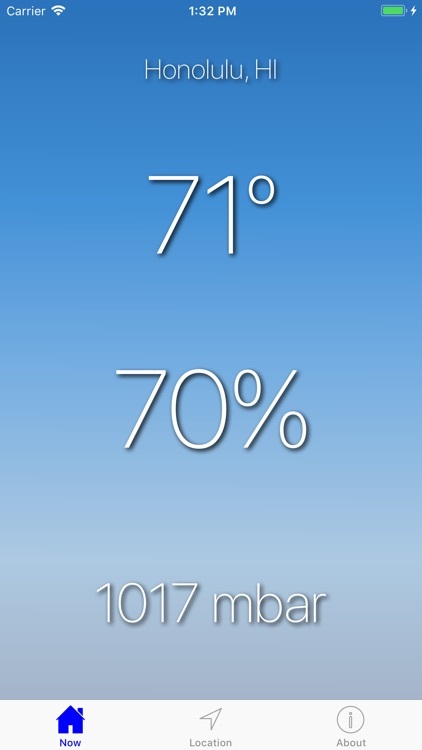 Glance down to see the highs and lows for today and tomorrow. 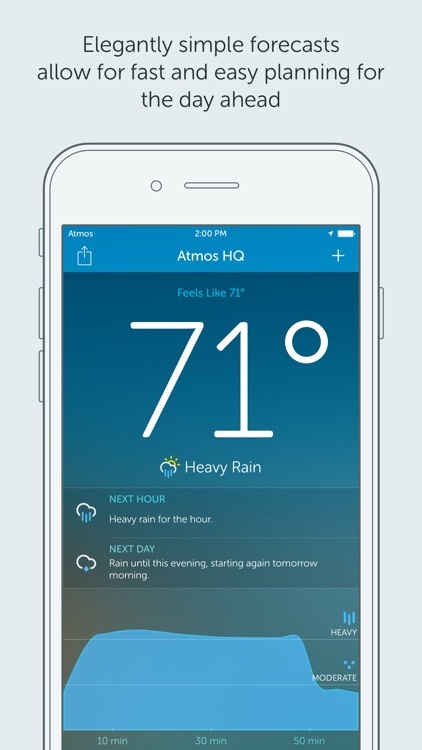 With no complicated settings, just select your weather type and enable rain alerts if you like. 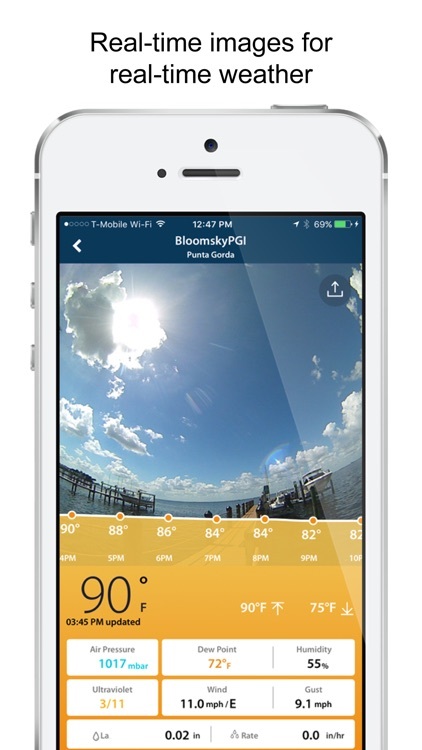 Discover the first made for iPhone Smart Weather Station and its App! 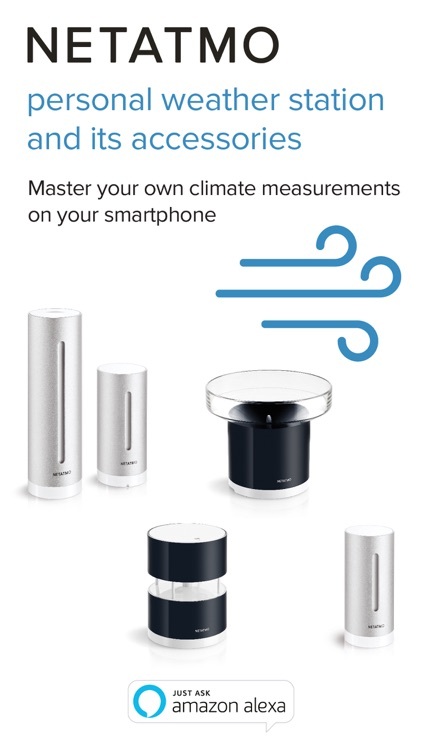 Become a contributor and be part of this unique Smart Weather Station network: measure locally with your Netatmo Weather Station, monitor directly from your iPhone with the Netatmo app! 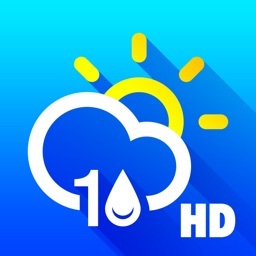 Always stay a step ahead of the weather with the 10 Day Weather app. 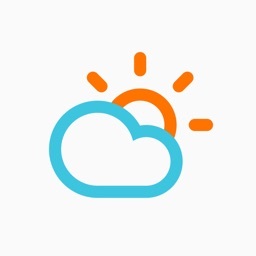 Plan ahead for the following weekend, that party, sports competition, outing etc. 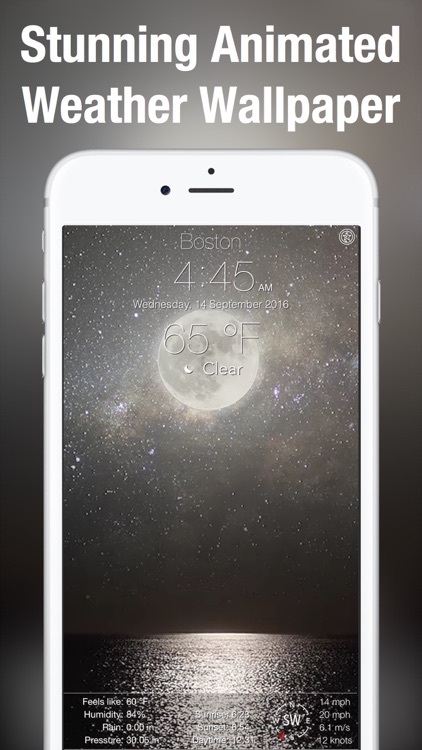 The stunning HD weather scenes also make it ideal for you office desk, bedside table, or living room shelf. 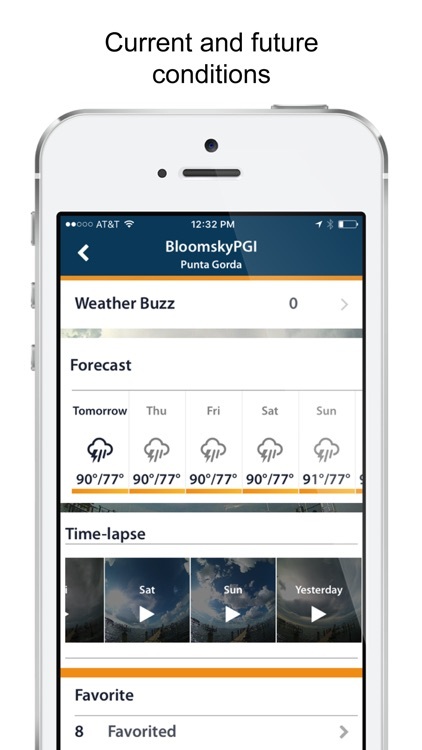 Access live weather reporting, real-time pictures, time-lapses, and forecasts from BloomSky weather cameras around the world. 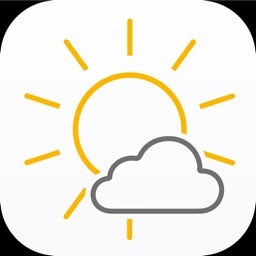 Sun, rain, clouds, fog, and storms - all clearly visible from a network of local stations, giving you a comprehensive understanding of the weather conditions when you need it. 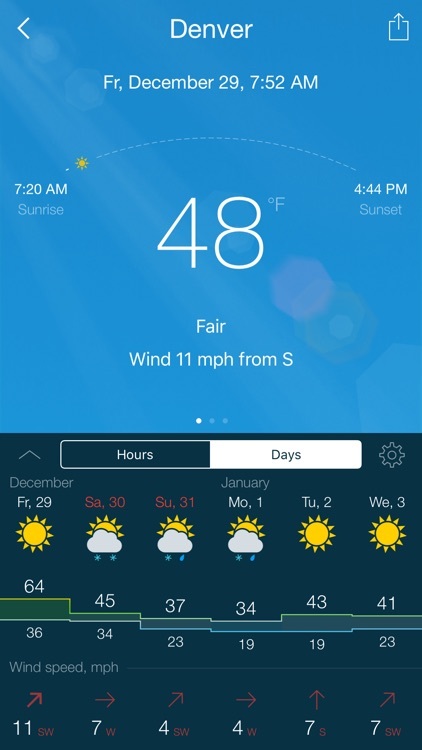 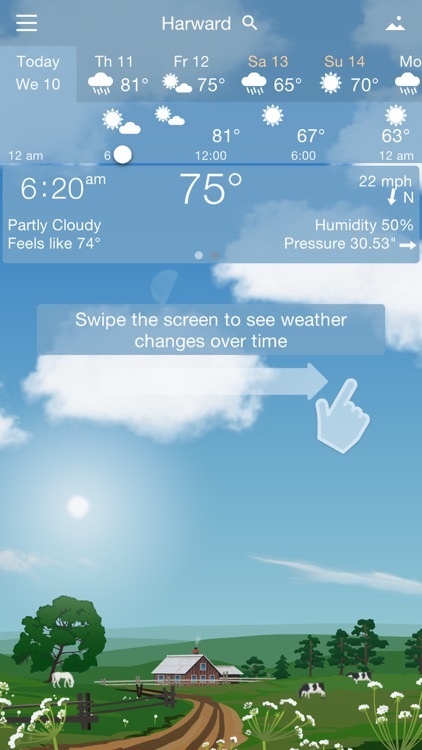 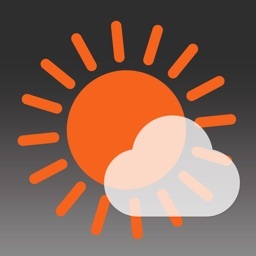 See the Weather Live - on a BIG, SIMPLE, and EASY TO READ display. 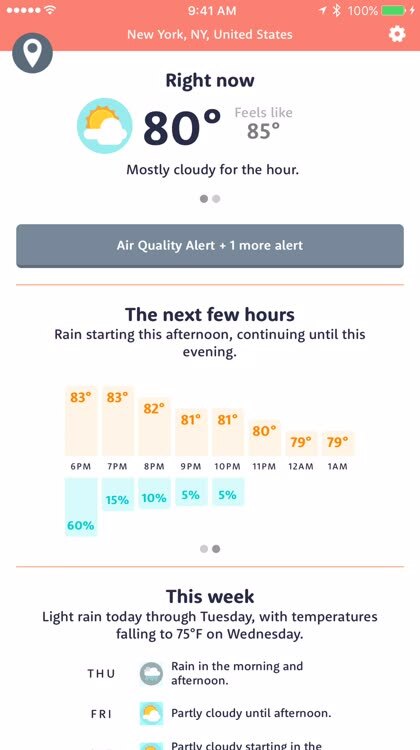 See the temperature, humidity and air pressure for exactly where YOU are right now. 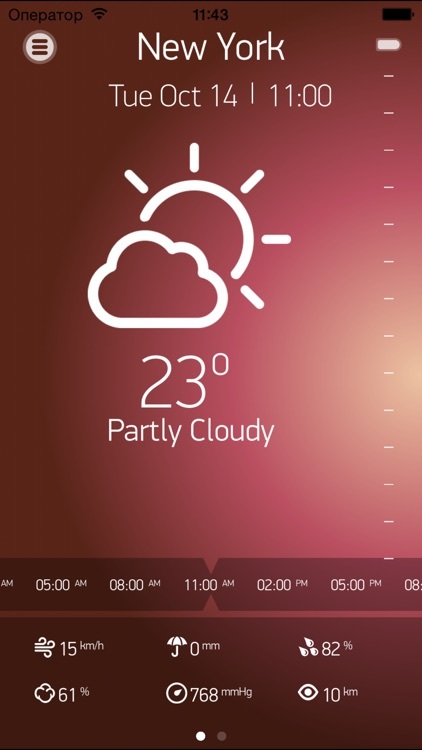 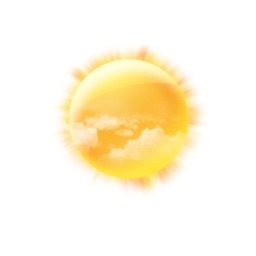 The weather is automatically refreshed every thirty minutes. 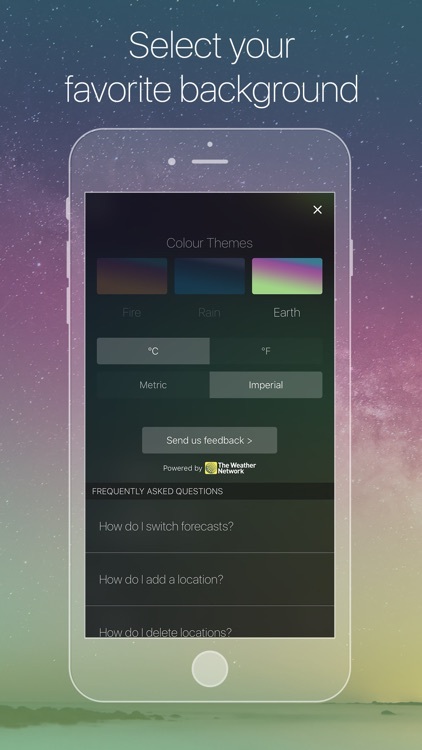 Both gorgeous iPhone and iPad support is included. 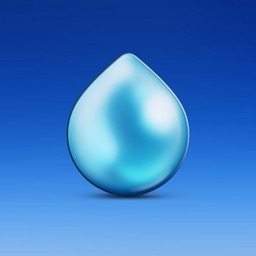 Download it now for free. 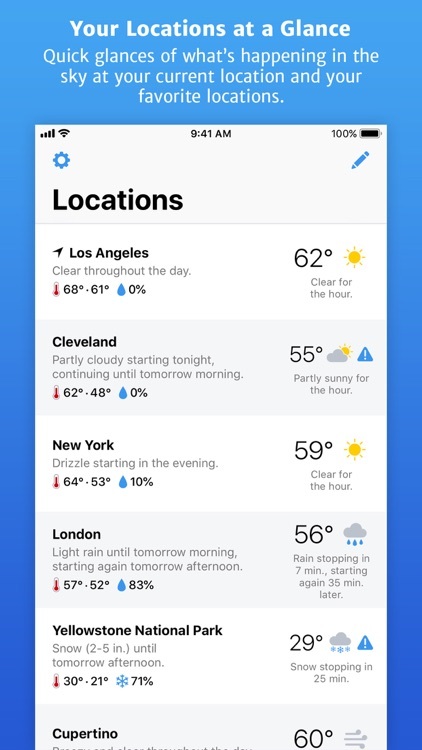 Weather Simple is exactly that; a simple and beautifully designed mobile weather app that puts the current weather and forecasts into words. 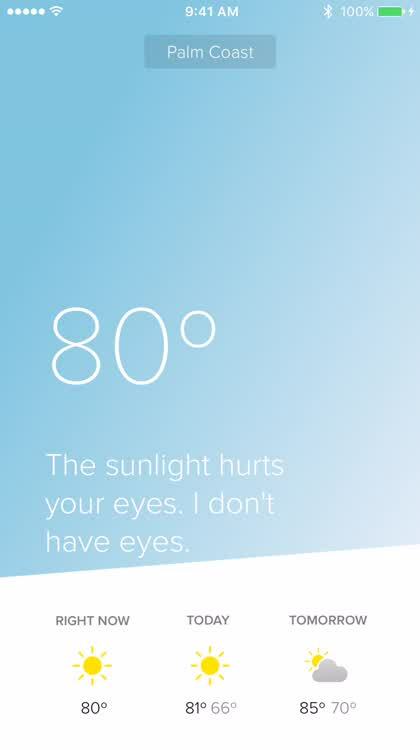 We're proud to support people who are blind or have vision impairment. 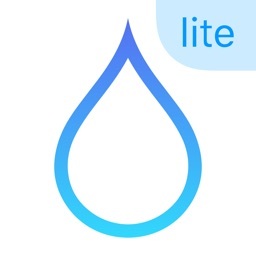 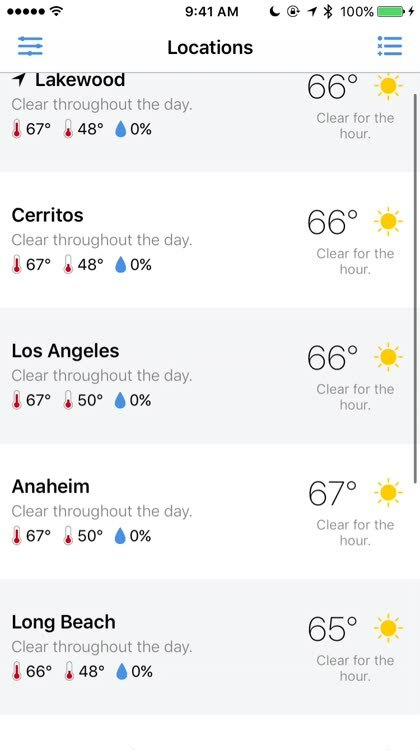 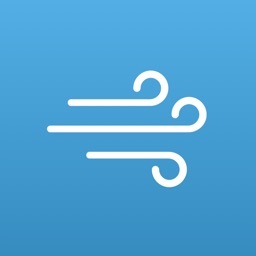 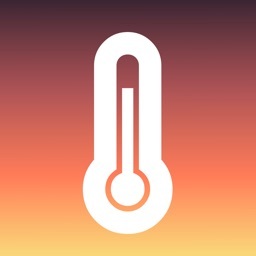 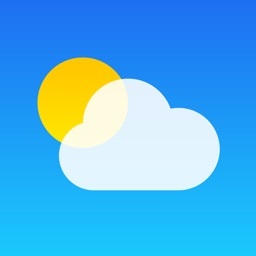 We've built Weather Simple to support VoiceOver, Dynamic Type, and Smart Invert for iOS. 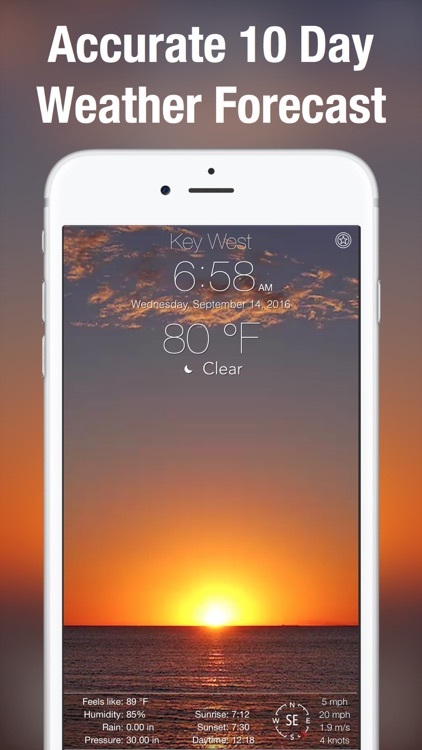 You just found a magical weather app! 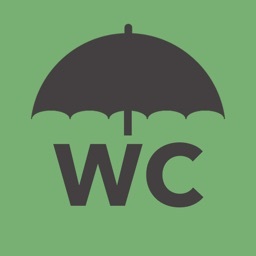 When it's raining outside, it is raining in the app, and people open their umbrellas. 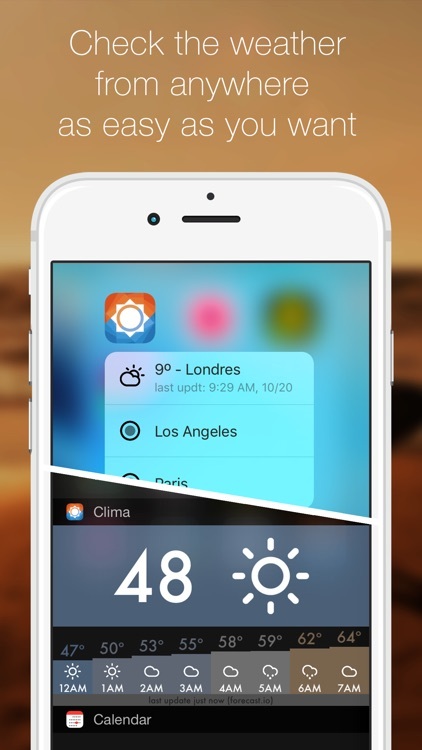 Scroll the time through the day and watch the weather change. 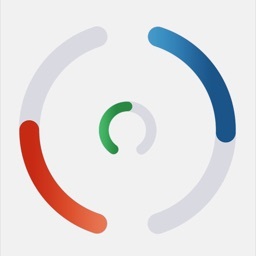 Simply slide your finger from left to right. 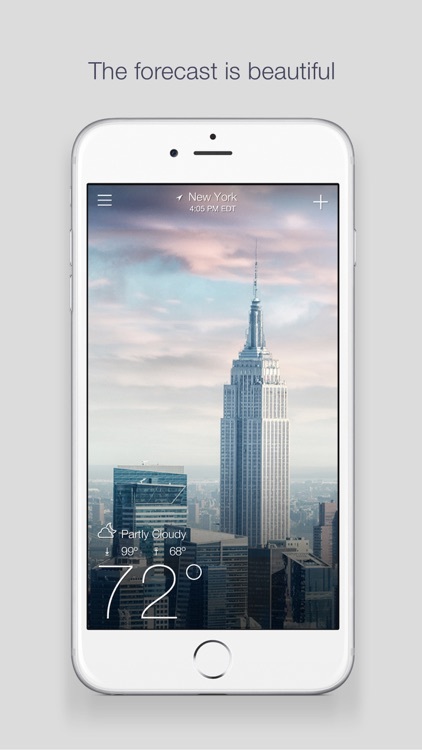 See the weather forecasts across iPhone and iPad for every part of world. 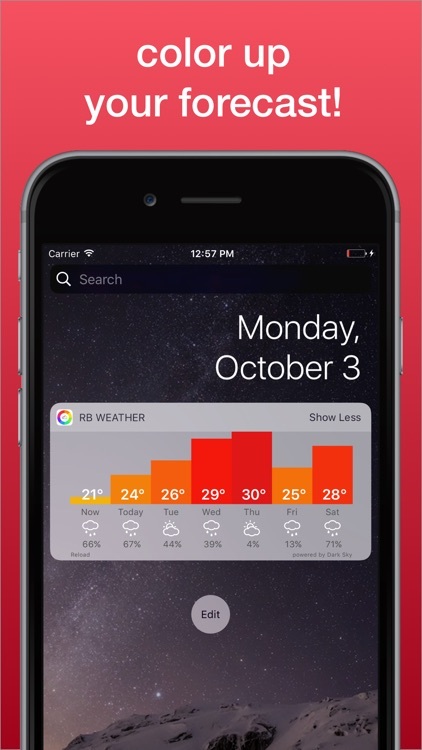 You can choose between different weather data sources. 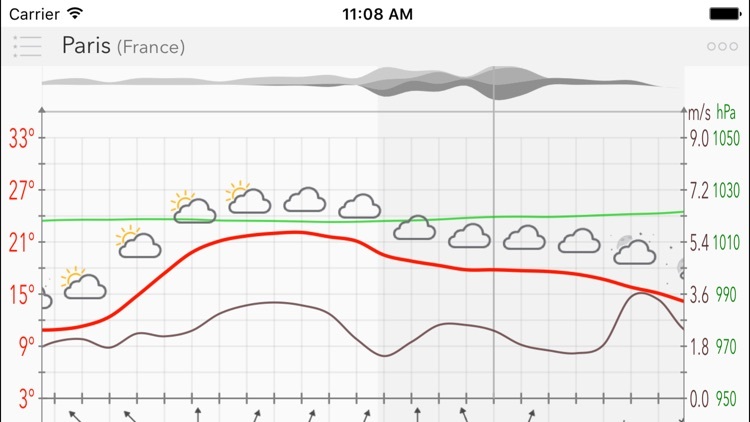 The forecast is simple and intuitive. 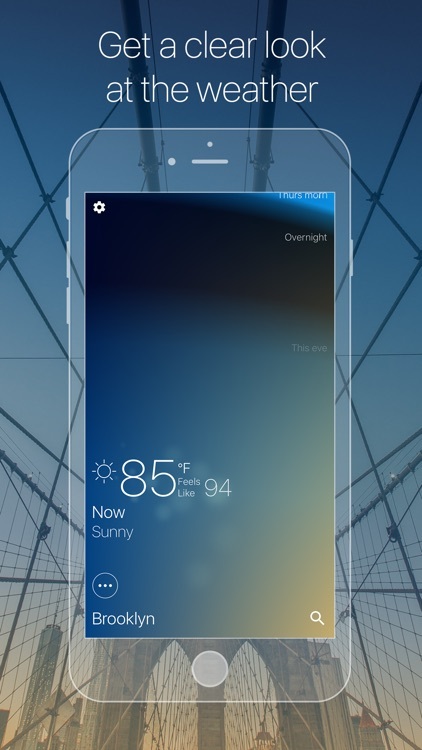 Huge appreciation of elegant and contextual interface worldwide. 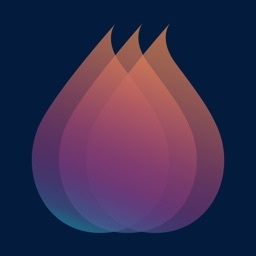 Thank you all for your raving reviews. 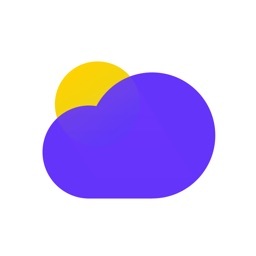 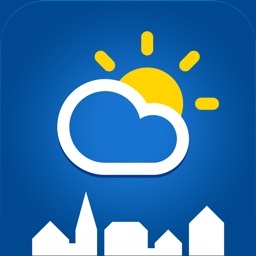 An official weather app by Gismeteo. 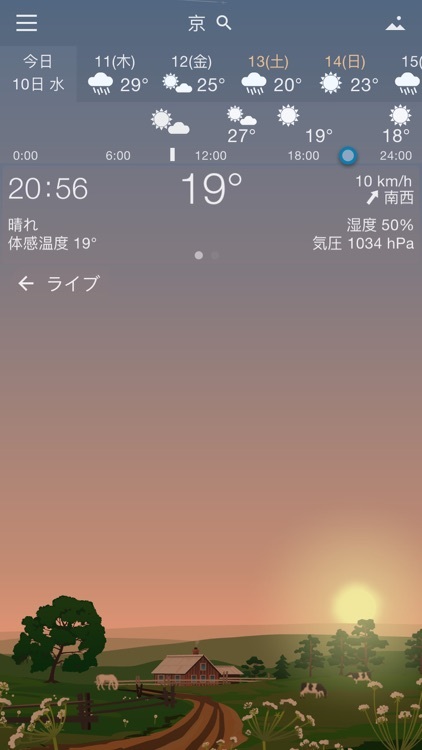 — offline mode (showing earlier downloaded data). 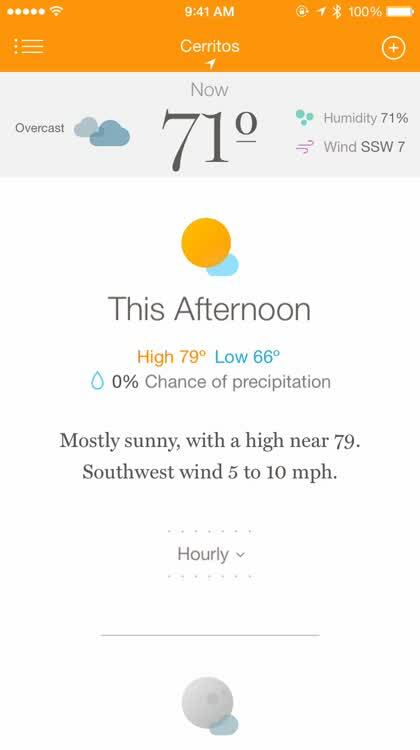 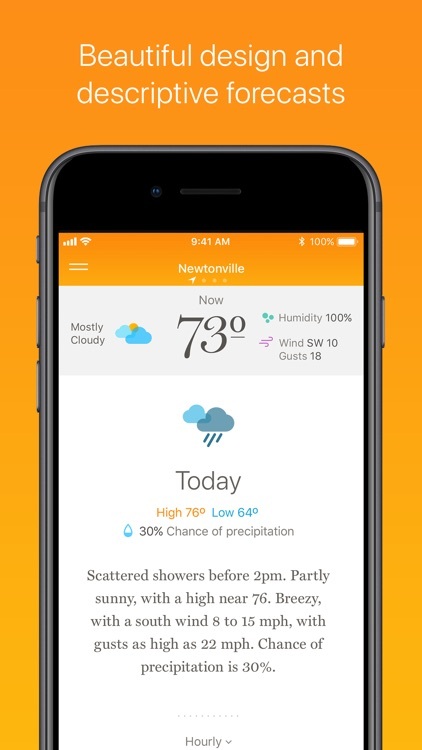 Get the weather forecast in a simple, beautiful app from Apple. 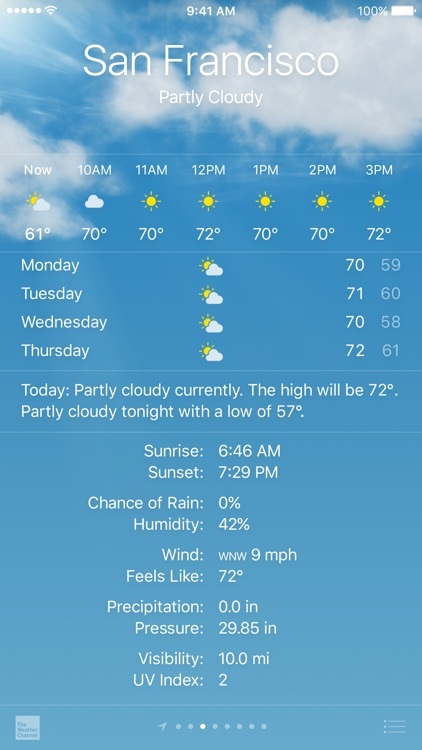 See the current temperature, hourly forecasts for the next 24 hours, and a 10-day forecast for cities around the world. 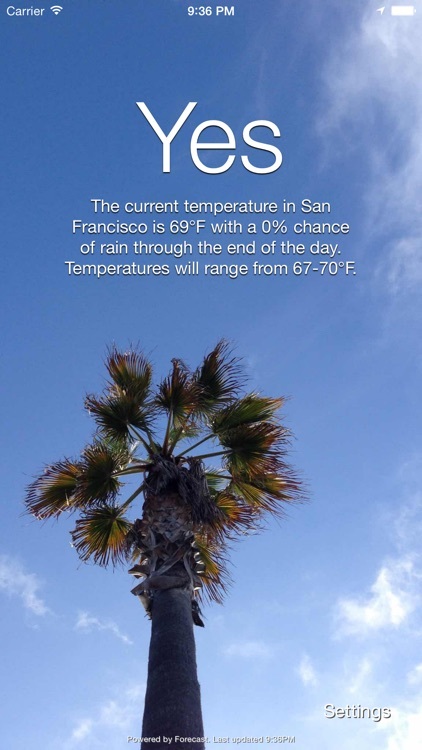 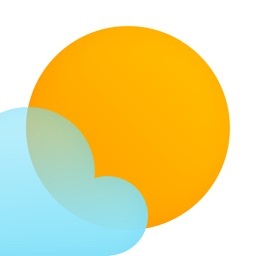 • See current weather conditions animate in full-screen and list views. 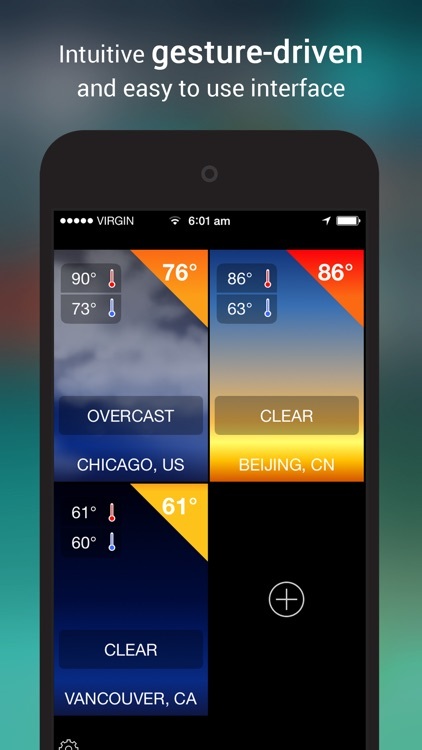 Discover your weather in a unique and beautiful way with Weather Pod for iOS. 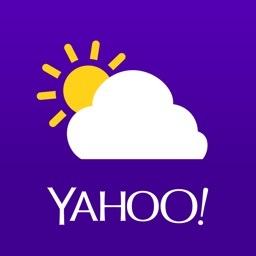 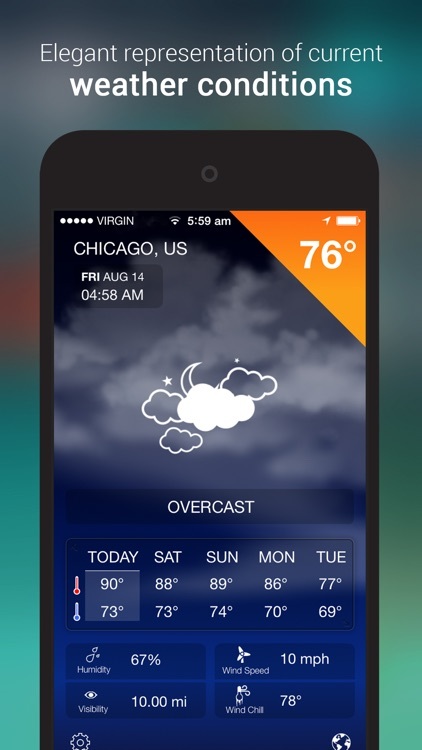 √ Featured by Digital Trends in their top weather apps for iPhone collection! 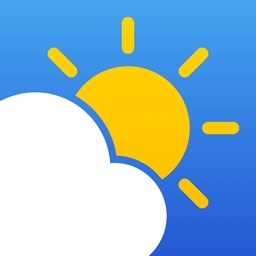 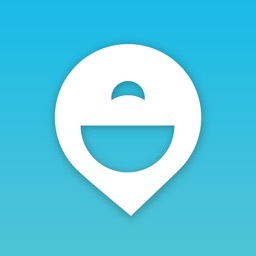 - AppAdvice: "For a simple yet accurate weather app, Weather Pod is a great choice"
How's the weather today? 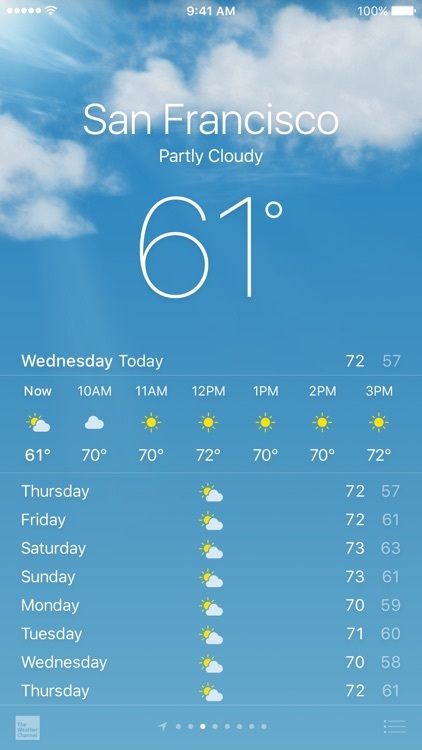 Weather's Clear gives you a simple Yes/No answer to your most important daily question. 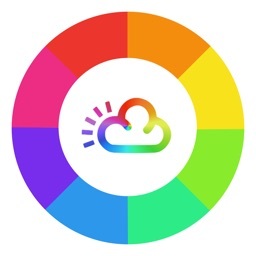 Rainbow Weather Widget is elegant, unique and beautifully simple. 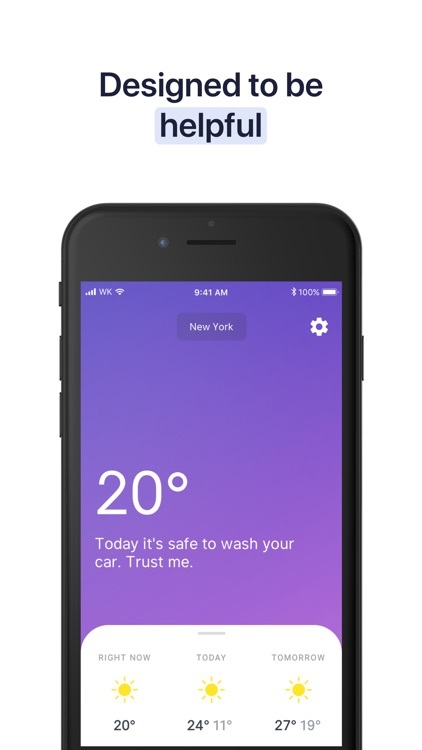 The minimalist design focuses on what you really need: the current weather and the weekly forecast. 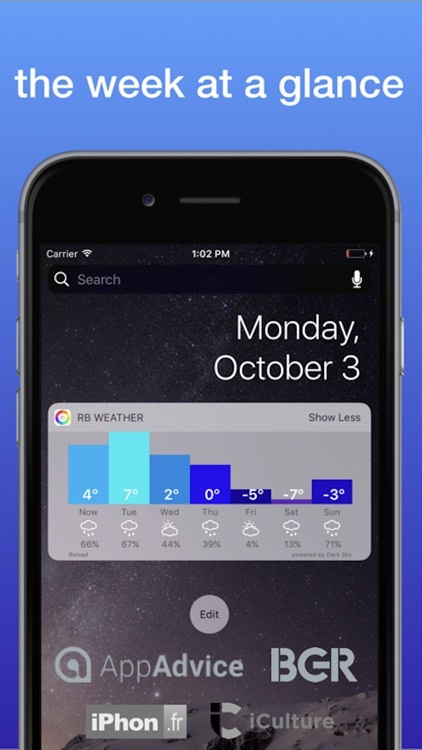 Don't you just hate it when you have to learn all about meteorology when you get a new weather app? 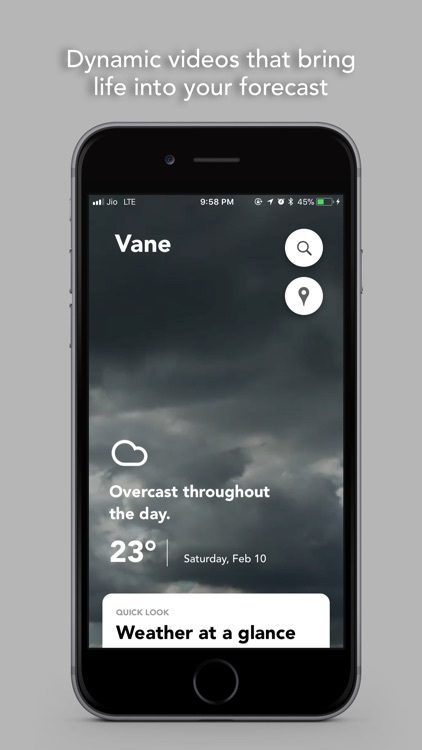 Presenting a whole new look at weather, Vane. 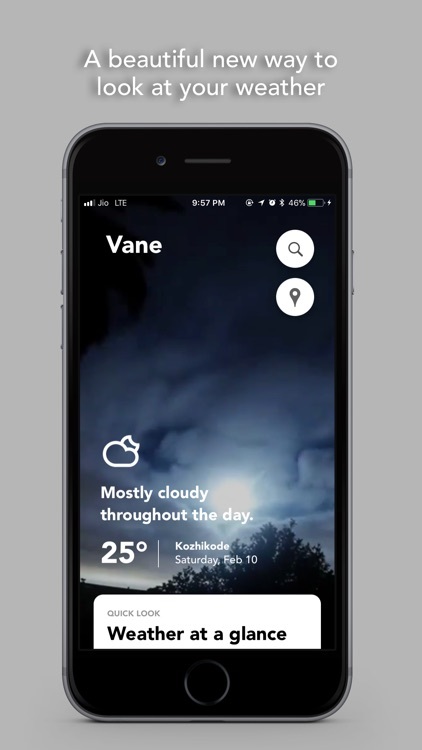 Byvejret is the most convenient and quickest way to stay ahead of the weather - where ever you are. 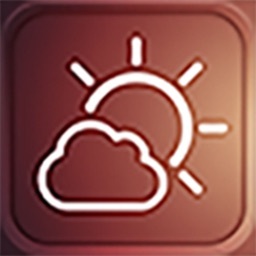 If you are a weather enthusiast or just curious regarding your local weather forecast, the actual data is presented to you in a simple daily report. 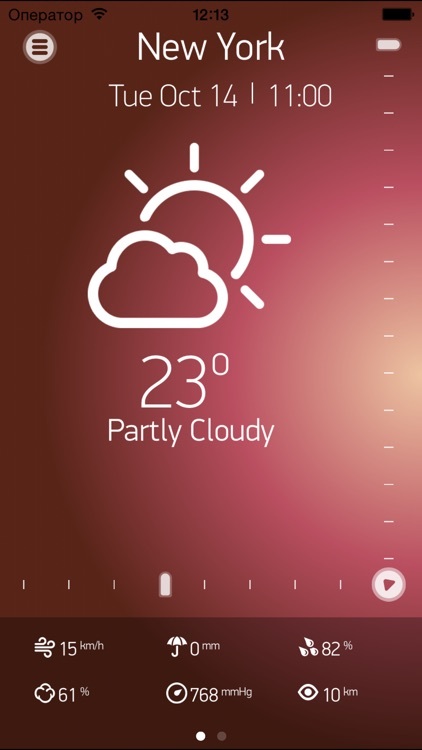 In the settings you are able to choose temperature and wind speed measurement units. 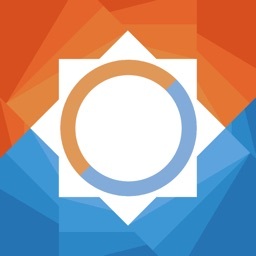 We are always looking to improve our services, so don't hesitate to write us with your suggestions. 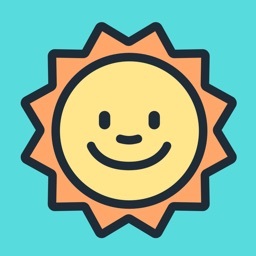 This App offers an advertisement free view as a in-app purchase. 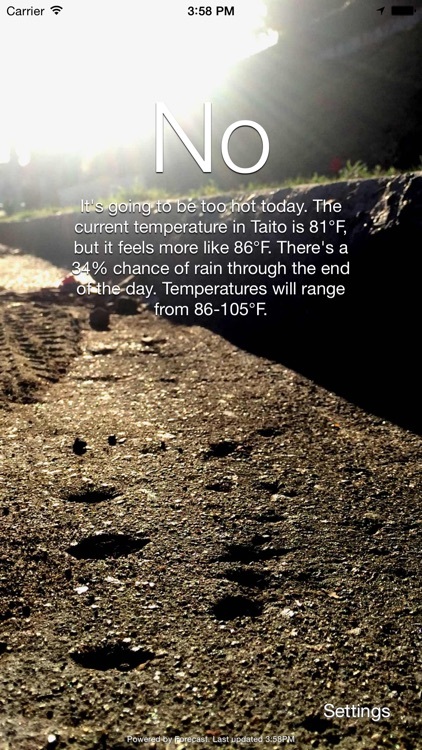 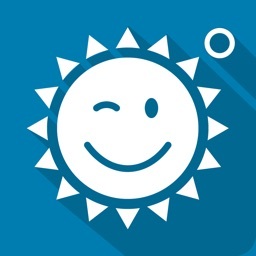 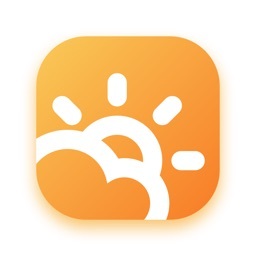 Sun Seeker is a great new app that tells you exactly what you want to know, weather wise. 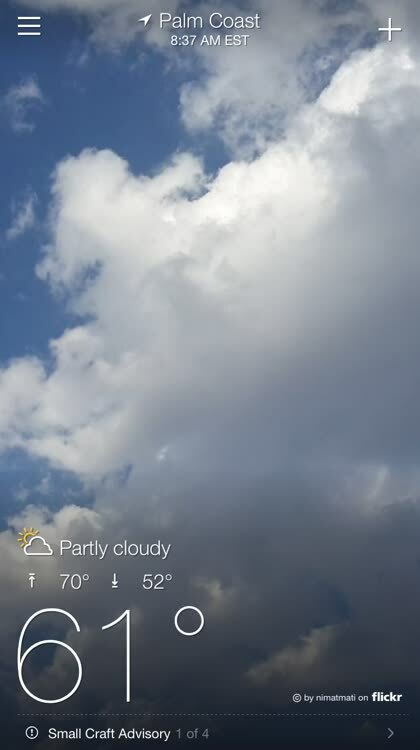 When is it going to be sunny, raining and cloudy. 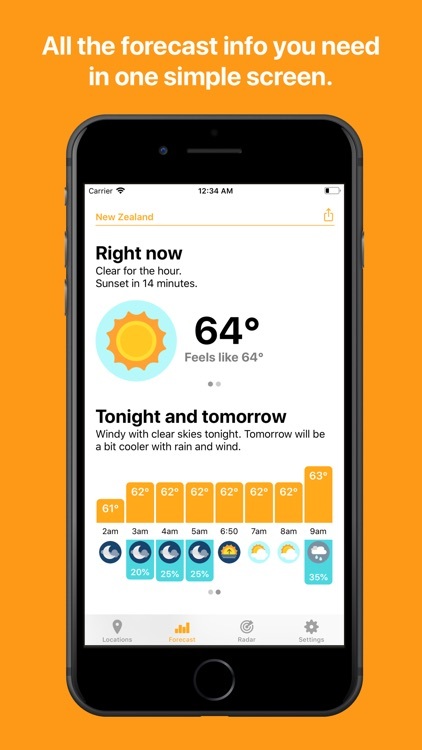 It summarises the next 10 days in 3 sentences, so you know when to head to the beach, go to a museum, or simply stay at home in front of the heater.